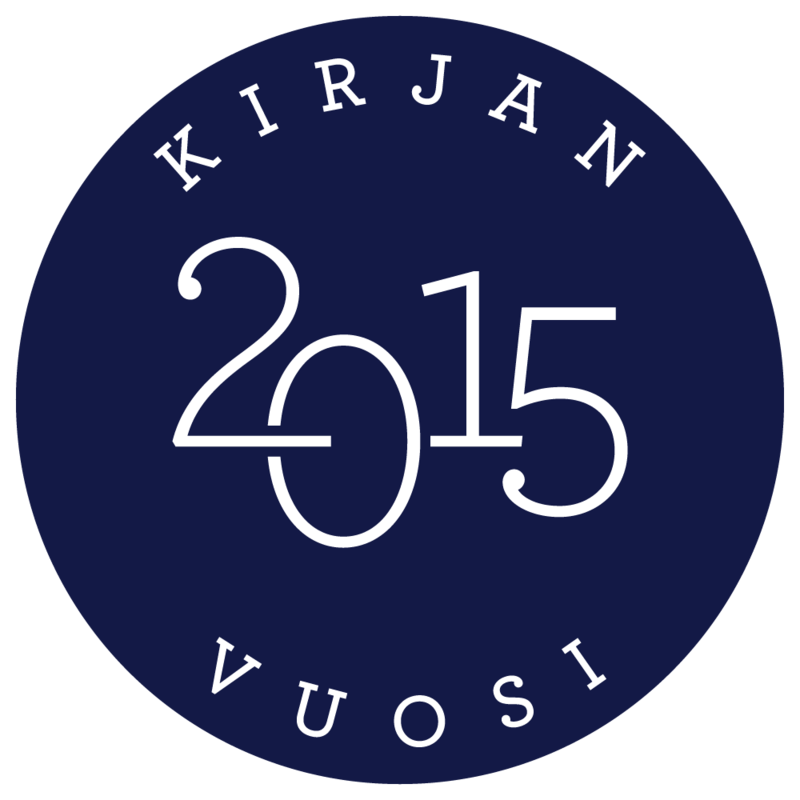 ‘Tis the season to pick and choose the best and most remarkable books read in 2015. I’ve seen many bloggers post their lists in the last few weeks, but I’ve been holding off because “it ain’t over until it’s over”. However, I’m now quite certain that I won’t be finishing Hanya Yanagihara’s 800+ paged A Little Life before the year turns into 2016, so it’s time to look back and reminisce. Despite my good intentions to read bigger books in 2015 and thus read “less”, I read a total of 98 books – I’m already terrified for what will happen in 2016. As you can imagine, there were some duds in the almost 100 books, but luckily there were more than just few absolutely wonderful books that blew socks off my feet. These books definitely made an impact on me and I hope to revisit them again in the future. I’ve narrowed my “best of” list down to ten books, so I’ll try to limit myself to a brief synopsis as well as a link to the review (if published). Let’s get started! The Name of the Rose was one of my first reads of 2015 and it has stuck with me the entire year. 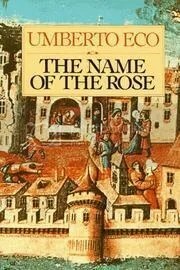 A mystery set in a monastery in the 14th century offers both excitement, historically accurate descriptions of monastery life and philosophy that runs deeper than just the plot. The religious, political and scientific debates in this book challenge not only the characters but also the modern reader. A masterpiece that I most heartily recommend to everyone. 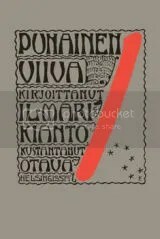 Finnish classics tend to be rather bleak and depressing, and in that sense The Red Line is no exception. It follows the first universal vote in Finland (1908) and the frenzy surrounding the political camps. However, the bleakness is quickly forgotten as the intriguing plot, beautiful nature imagery and symbolism wrap this politically loaded book into a stunning package. It’s such a shame that this book has not been translated into English! It might not give the most sophisticated image of the Finns as a nation, but it is a damn good book. The Snow Child surprised me and dazzled me with its writing and character development. 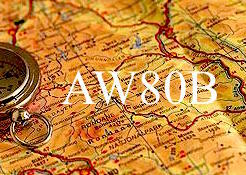 Set in the 1920 Alaska the story follows an older couple moving to the wilderness and building their life anew. 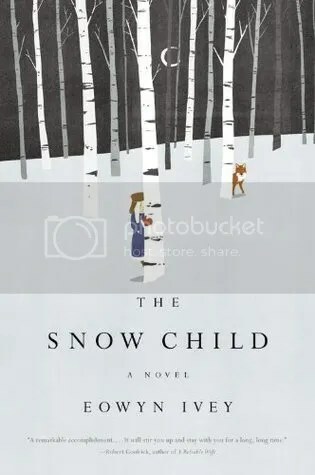 Another book with stunning imagery of the nature, The Snow Child, however, focuses more on the family relationships and different types of love. It is a heartwarming tale told with such poetic and engaging writing that it did not matter that I read it in the spring – the bone-chilling coldness was inescapable. Unlike in 2014, I read only a handful of plays in 2015. However, the quantity was replaced by sheer quality because of plays like Waiting for Godot. On the onset it is an odd one: nothing happens, twice. The simplicity of the setting, the slightly offbeat dialogue and the bare-bonedness of the presentation invite the reader/audience to interpret the text in so many ways. 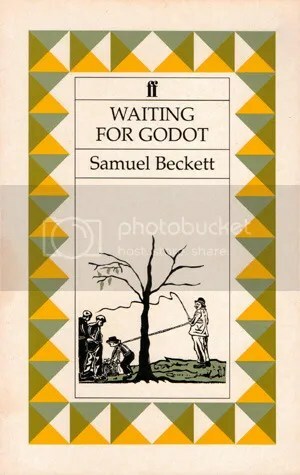 Waiting for Godot is definitely a play I would love to see live, because I feel that the physical nature of the roles would really enrich the experience – and offer new interpretations. Funny thing how one book can lead you to another very good book. In the beginning of 2015, I received the great news that Peirene Press would be publishing the English translation of White Hunger. Looking through the publishers catalogue, I discovered they had also previously published another Finnish title: Mr Darwin’s Gardener. The book is set in the 19th century Kent following the collective consciousness of the villagers, their reactions to the Thomas Davies’ isolation after his wife’s death. The lyrical language and the thought-provoking passages blew me away, and I savoured the story from beginning to the end. The 1970s New York was a curious, wild and free environment that pulled in young creative people to gather and share their art. 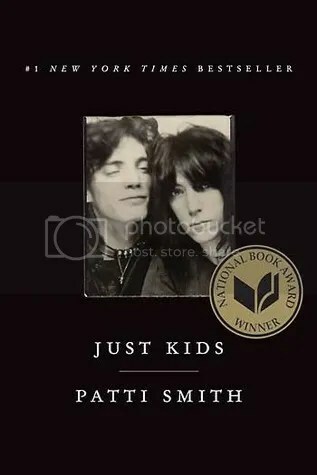 Patti Smith’s National Book Award winning memoir follows her first years as an artist and a poet, and depicts her relationship with her friend and lover famous photographer Robert Mapplethorpe. The honesty and warmth with which Smith writes evokes wonder at the times and the people. It’s not just a name-dropping contest, it’s a honest portrayal of the struggles and small successes of a budding artist and an inspiration for all creatives. One of my goals for this year was to read a novel by Charles Dickens, and I couldn’t be happier with the one I chose to read. 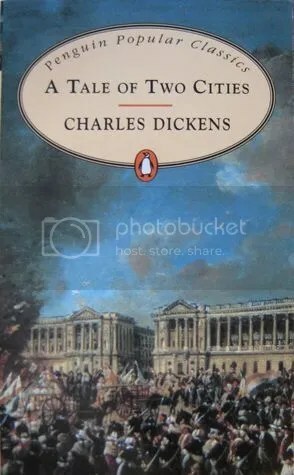 A Tale of Two Cities is a historical fiction novel set during the French Revolution following both the English and the French. It is possibly one of his most stunningly written novels, with enthralling sentences and memorable passages. Dickens is more often known for his characterisation, but this is novel in which the language runs the game. The depiction of the French Revolution is also a depiction of human cruelty, reminding the reader that no revolution comes without pain and injustice. The dystopian trend in literature seems to be passing, but it doesn’t change the fact that George Orwell’s Nineteen Eighty-Four still feels like a dead-on prediction of our society. The society devoid of freedoms such as freedom of speech and freedom of thought is cruel place to be, which is why the familiarity of Orwell’s fruit of imagination is so terrifying. Never one to shy away from political criticism, the book does not offer any kindnesses towards the Socialist movement. However, the struggles of Winston Smith connect to more than just one political party, raising questions about the innate nature of power struggles. One of my challenges for this year was to read more poetry, and I set myself a goal of four collections. I did just that, and two of the collections even made it to this list. 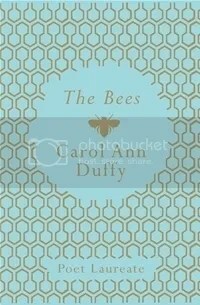 The Bees is collection of poetry by the Poetry Laureate Carol Ann Duffy – a name I recognised but always mixed up with Joyce Carol Oates (don’t ask me why). Duffy’s poetry is exquisite in its simplicity and emotion. The recurring theme of bees knits the entire collection together and the poetry book itself is a piece of art. The Bees was both sad and happy, joyous and jealous, and I loved every single of this rollercoaster. More, please! 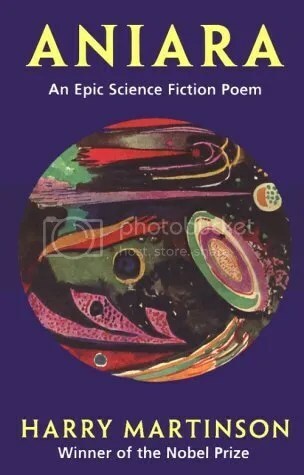 Aniara: An Epic Science Fiction Poem started off as a joke. I jokily asked my friend who is a big science fiction buff to recommend me something and he immediately presented me with The Nobel Prize winning Aniara. I expected to simply enjoy the book, but it surprised me in so many levels, that I almost forgot I was reading epic poetry. The story follows a regular space flight that is thrown off course by a meteor and subsequently loses the chance of ever getting back to the destination planet. A large colony lost in space and with no hope of rescue turns into a study of humanity explored with painfully beautiful writing. Heart-wrenching. Honorable mentions: There were simply too many good books that I didn’t make the cut – some almost equally wonderful. These books are also ones that I can heartily recommend and I hope you’ll love as much as I did. 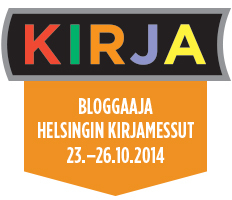 Honorable mentions go to To Kill a Mockingbird, Saga vol. 1, We Should All Be Feminist, The Rabbit Back Literature Society, Station Eleven, Villimpi Pohjola (Northern Overexposure) comic series, The Sandman vol 1–3, Shakespeare’s A Midsummer Night’s Dream & Hamlet & King Lear. The Miniaturist was on everyone’s lips last year. It was the Waterstones’ Book of the Year and almost every book blogger under the sun read it – most of them also giving positive reviews. For me the year 2015 has been a real feast of historical fiction which means that a novel set in the 17th century Amsterdam with abundance of historically accurate details seemed like a right book to be read during the Christmas holidays. Moreover, I’ve been curious as to why this book, which has been called an international success, has not yet reached the shores of Finland. Usually these types of bestsellers appear in translation within year or so, but I haven’t yet heard that any of the Finnish publishers would have grabbed The Miniaturist. Perhaps it is “too Dutch”? The story follows the 18-year-old Petronella (Nella for short) who has been married off to a wealthy Amsterdam merchant almost twice her age. Nella’s rosy notions of married life crash with the harsh reality as she finds herself stranded in her town house, accompanied only by her husband’s spinsterly sister, a gossiping maid named Cornelia and the mysterious dark-skinned manservant Otto. Instead of freedom and power, Nella feels trapped in her new home whose inhabitants seem to carry more that just a few chose secrets. Her husband appears to almost avoid his home, the sister is bundle of contradictions, and there’re steps and whispers in the corridors at night. The mystery of her new family is, however, heightened by the constant arrival of unsolicited parcels from the miniaturist Nella has commissioned to furnish her miniature house – these pieces are both surprisingly accurate and hauntingly foretelling. Due to all the hype and positive reviews, I had high expectations going into this novel and, to be honest, they were not fully met. The narrative style of The Miniaturist is quite elusive, not so much navigating the murky waters of the mysterious household as simply giving a sense of the environment. Jessie Burton is a master in writing descriptions and many have praised her expertise in pulling the reader into the story. If you enjoy sensory writing, this is the book for you. I, unfortunately, never felt truly dazzled by the story’s magic. I could appreciate the writing, but in general I prefer well-structured and complex plots over fantastical writing. The plot of The Miniaturist is still a fascinating one, and once I got into the story, it was a very entertaining read with plenty of twists and turns. Overall, the book is a strong debut novel and I look forward to reading more of Burton’s work in the future. I would recommend the book to historical fiction lovers as well as readers who enjoy the Gothic side of mystery. However, if you don’t enjoy open-ended stories, you might want to give this one a miss. Amsterdam: Where the pendulum swings from God to a guilder. George Orwell became one of my favourite authors of last year as I read and absolutely loved Animal Farm. 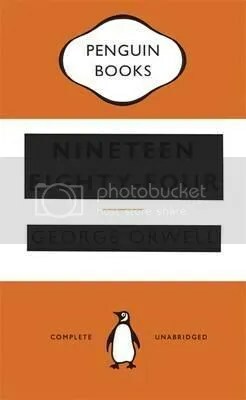 Sharing my love of Orwell, I quickly received several recommendations to read 1984 – the book that notoriously launched the concept of Big Brother. Despite my interest in reading more Orwell, it took me some time get around reading 1984. I bought my copy – the cleverly designed Penguin paperback – in January, read the first 50 pages in March before putting the book down, and eventually picked it up five months later. The book is not a particularly chunky or dull one, but in order to fully enjoy it’s complexity, it definitely requires time and concentration – neither of which I had back in March. The story of 1984 centers around a young-ish man, Winston Smith, who works in the Ministry of Truth revising the history records to match the current ideology. The political system in power is called English Socialism – IngSoc in Newspeak– and it’s run by the omnious, never-seen-but-always-present Big Brother. The society at large controls every action of the lives of its members from exercising to family planning, focusing on eliminating all actions that go against the current regime. Even expressing wrong kinds of thoughts is considered a crime. Winston just is a plain cog in the system, but he nevertheless feels nerved by the constant controlling. His nightmares consist of distant memories, but he doesn’t understand how things came to be as they are. 1984 is utterly brilliant, cynical, astonishing and truly mind-boggling. If you have the energy to let your imagination run wild with the concepts that Orwell presents in this book, the end results are both rewarding and frightening. Orwell’s dystopia is poignant even today, which is quite a feat considering how much the world has changed since 1940s. I am in awe of George Orwell for creating such a meticulous but yet completely comprehensible system of government, and the way with which he constructed this novel. It is a classic for a reason. Although the novel’s central themes are censorship and restricting individuality, my favourite part of the novel were the passages from “The Book” – but maybe that’s just the Political Studies student in me. As a language student, the linguistic aspect of the story was also fascinating; how controlling the language that we use can also shift how we think and act. Also, to which point can you simplify language? The story of 1984 is not among the most action-packed ones, but the slow build-up truly packs a punch in the end. It’s a thought-provoking noveI like no other. I think I can now confidently say that Orwell is one of my favourite authors of all time. However, I must admit that I still prefer Animal Farm over 1984. I highly recommended 1984 to all citizens of the planet Earth, especially those who enjoy dystopian literature. Yes, it’s that time of the year again. The most talked issue lately has been the passing of the year and it seems that either my friends and I are all under the misconception that the year is 14 months long or just growing busier and busier every year. Sigh. It’s also so dark outside in Finland that I sometimes start thinking about going to sleep already at four o’clock in the afternoon – no kidding. Hibernation should be a thing. I’ve not yet caught the holiday spirit, but I think it’ll come along nicely after all my deadlines are over. Fingers crossed. The month of November was pretty decent in the reading front. I read 5 books in the month and have now read a total of 88 books this year. I took me about two weeks to finish Frankenstein–a bit of a struggle, I have to admit–and after that I mostly went for short books. The books that I read in November are quite an eclectic mix: I’ve got romance, classic, contemporary women’s fiction, modern classic with post-colonial vibes, and a historical literary fiction all in one month. Some I enjoyed more than the others, but unfortunately none of them truly stood out. However, I’ve read so many absolutely wonderful novels this year, that I’m already hesitant whether I’ll be able to narrow it down to top 10 at the end of the month. Once I do get back into the swing of writing reviews, I’ll try to write reviews for all of these. To summarize my feelings for each books: I was positively surprised by the writing in A Rogue by Any Other Name; frustrated and intrigued by Frankenstein; cheering for the feminism in Iiris Lempivaaran raskas ja levoton sydän (eng. The heavy and restless heart of Iiris Lempivaara); fascinated and repelled with display of colonialism in Wide Sargasso Sea, and slightly puzzled with The Brothers. I’m currently in the middle of reading The Shadow of the Wind by Carlos Ruiz Zafón which, despite the very engaging and weaving writing style, I am not head-over-heels in love with. I can see why people love it so much, and there’s still about 200 more pages for the story to grow even more interesting, but at the moment it’s only at the ‘very enjoyable’ point of the scale. 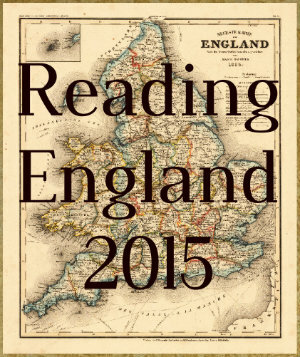 Although it’s the end of the year, I still have a massive list of books that I’d want to tick off as “read in 2015”. Nevertheless, I’m trying not to put too much stress on my end of the year TBR. Yes, it would be nice to reach 100 books or to complete all of my reading goals, but it’s just not going to happen. I’ll also be travelling a lot in December due to Christmas visits, so I’ve tried to come up with a combination that will stop me from lugging a stone of books in my rucksack. From the list, I’ve three as ebooks and the rest are either paperback or library books that are due back before the holidays begin. Last year I did a thing where I went through all of the book hauls I had done that year and tried to read as many of the unread books as I could. This year, however, my book acquisition habit has gone through the roof. I quickly counted that this year’s list would probably contain around 30 titles, which means I’d feel disheartened already at the start of the month. Hence, I think I shall keep the idea and move it for January 2016 (maybe also February). It shall be my first bookish resolution of the new year. Estella from Estella’s Revenge is doing something similar with the #ReadMyOwnDamnBooks challenge, so if you’re experiencing the same issue and want some more support and concrete rules, you should check it out!